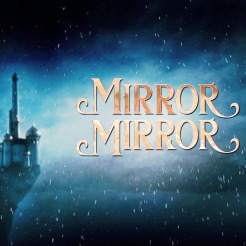 Today we continue the discussion on guarding against the pitfalls of the Mirror, Mirror Syndrome. In my earlier article When Snow White becomes the Cruel Stepmother, I mentioned that I have met women who are so filled with bitterness from regrets. Like Miss Havisham in Dickens’ Great Expectations, they sit forever in the things that could have been and never moving forward. Regrets of our youth are extremely poisonous. They lead us to bitterness, and this bitterness defiles a great many others (Hebrews 12:15). What are some things that cause regrets? I think every human being would have at least one or more of the above in their lives. How then are we to guard against regrets, when life’s curveballs seem designed to push us right into it? I have come to believe that it is not about avoiding failure/mistakes etc. Because that only leads to fear. So we stop trying, because it makes the pain of disappointment go away. The danger of this is that we eventually start imposing this on others too, and end up quashing the God-given dreams, boldness, and zeal of others. I believe that what we need to focus on instead is how to handle failure and mistakes. To have our hearts healed. Let us take a look at some of the men & women who have gone before us, and learn from how they handled their mistakes and failures. Peter denied Jesus in His hour of need, and I think no one was hurt more than Peter himself. In fact, he was so discouraged that he decided, “Guess I’m not cut out to be a disciple of Jesus. I’d best go back to being a fisherman.” But the amazing love of Jesus! He went to where Peter was fishing, and brought to him forgiveness and restoration. Now, compare this story to the one of Judas Iscariot. Judas, too, betrayed Jesus. But his story ended so differently (Matthew 27). Both Peter and Judas betrayed Jesus. Both felt remorseful for what they did. So what was the difference between these 2 men that resulted in such different outcomes? I believe the answer is found in Matthew 18: 21-35 when Peter learns from Jesus about forgiveness. I believe this is the reason that, though discouraged, Peter didn’t go that far. Deep down he knew that Jesus would forgive him. Judas didn’t. – It is ok to be discouraged! Jesus is so full of love, and He will come to you in your discouragement and lift you up again (: Just come to him as you are. Moses disobeyed God, and consequently was forbidden by God to enter the Promised Land. However, Moses did not stop serving the Israelites and God faithfully – he led them all the way to the Promised Land, though he himself could only see it from a distance. Even though God punished Moses for his disobedience, God still loved him and honored him through the Bible (one example is in Hebrews 11). – Consequences do not mean that God no longer loves you. – Learn to accept the consequences of our mistakes/failures. If you run away from them, they will haunt you all your life. – Face your consequences, then move on! It’s not the end of the world, trust me. God always has a great plan for you. Talked about failure and broken dreams! I don’t think any little girl dreams about having FIVE failed marriages, much less be labeled a fornicator. This lady must have been living in so much disappointments, believing that her time for dreams was long past. In fact, she was so used to living in shame and rejection that it had become her habit to go and draw water at noon, when the day was at its hottest. Other women would have gone to the well in the cool of the early morning. Any guesses why this Samaritan woman wanted to avoid other people, preferring to toil under the hot afternoon sun rather than face them? Reading carefully into the conversation between her and Jesus, it is not difficult to tell that she was someone who had her guards up. But Jesus spoke to her and restored her. What resulted was this woman, with her broken life full of regrets, became one of the earliest great evangelists! – No matter how far off the road you think you’ve gone, just one encounter with the living God can turn all the could’ve-beens into can-be! – Come to the loving God, who will not only restore your heart from regrets – He will also give you fresh hope and vision for the future that He has for you! The surest guard against regrets? Keep doing everything that God tells you to! Elijah did just that. And even though he had his fair share of failures & mistakes, they didn’t hold him back. Why? Because he was so focused on following God, he didn’t have time to linger and wallow in regrets. Following hard after God is also what made him a Father of the faith to Elisha. It is what protected him from becoming a cruel stepmother – he didn’t feel threatened by his disciple’s up-and-coming ministry & anointing, because his heart was so full of God’s plans and purposes! When you follow after God, you will look back on your life and find that it was a life well lived. When it’s all been said and done, many things in this world will try to rob our peace and our dreams. But Jesus said that He has come to give us life, and life abundant (John 10:10). There is so much more that can be said on this topic, but I’d better bring it to a close for now (: What other ways can you think of to guard against the pitfall of regrets?